All money raised from Bubbles for Babies supports the Newborn Intensive Care Foundation (NICF). The Foundation funds medical equipment, research and nurse education to help sick newborn babies of the Canberra region. Help us raise some bubbles. We have set the value of a ‘bubble’ at $10. Will you help us raise some bubbles to improve the quality of life of our sick newborn babies. We would like people to hold a Bubbles for Babies event anytime in April 2019 to help us raise the funds to purchase a new ECG (electrocardiograph) machine for the Neonatal Unit at Canberra Hospital. How Bubbles for Babies works. All you need to do is hold a Bubbles for Babies event such as a family BBQ, work place drinks, picnic in the park with a bunch of friends; really, any reason to get together. Raise some donations through party games, attendance fees, or just by passing the hat around and donate the profits to the NICF. (See below for some thought starters) Officially, Bubbles for Babies will run all of April, so there is lots of time to host an event and raise some bubbles! However, you can have a fundraiser for the NICF and raise some bubbles anytime you want. Where could an event be held? Bubbles events could be hosted at peoples homes, workplaces, schools or a venue such as one of the Hellenic Clubs. How to Hold a Bubbles for Babies event. You will need to decide the date you want to raise some bubble and then register your event with us so we can give you an authority to fundraise letter (a legal requirement). Step 2: Decide how you will raise some bubbles. Charge a few dollars at the door. People that show up in a themed costume can pay $3 while those in “normal” clothes can pay $5. If your community has a lot of families, you can host a parents’ party while you get a volunteer to watch the kids. Hosting a parents’ party is an excellent way to give mum and dad a night out with their friends while you raise money! All you’ll need to do is find a venue such as the Hellenic Club or your local club. Then you can charge a small amount and set up a fun night of food, drinks, and socializing for parents. You can also set up a donation box for other contributions. A Family Fun Day can be an easy way to raise money plus, it brings your friends and their families together for an afternoon. Set up games, food and drink stations, and a donation table and send out invitations to your friends. You can also hang up flyers around town to get the whole community involved! You can host your Family Fun Day during the weekend. Have signs that direct people to the outdoor area you organised for fun, games, food, and fundraising! Everyone loves a good old-fashioned barbecue. Whether you’re barbecuing sausages, steak, chicken, or veggie burgers, a barbecue is a great way to bring your community together for a common cause. You can either charge a fee for your barbecue, make a small charge per serve and per drink, or simply set up a donation table with a jar for change. Make sure you explain the cause you’re raising money for, though. A Dance-Off can be a great way to bring your dance community together and raise funds for the Newborn Intensive Carer Foundation! All you have to do is set up a registration process and charge a small fee for people who want to participate. You can raise more money by charging admission for attendees and selling cold drinks or donated preloved dance clothes during the event. Host a game night where your friends, family, community members, and/or coworkers can enjoy a few board games! In fact, you can make it a regular weekly or monthly event and sell food and refreshments to raise even more funds. Make sure that you have a variety of board games to host your fun night. You can play games like Monopoly, chess, dominoes, and so much more! To make your game night a reality, you’ll need a space where you can host your event as well as volunteers to help set up and handle admissions. You can organize a trivia night at home or by pairing up with a local bar or restaurant. Advertise well in advance and charge an admission fee for trivia teams who want to put their knowledge to the test. You can also ask the restaurant or bar manager if they would be willing to give you a portion of the bar sales from the trivia night to bring in even more money. Make sure that you have a good system for asking questions and getting teams’ answers. You don’t want to have a disorganised trivia fundraiser! Guessing games are classic ways to raise funds. All you need is a jar filled with something small, like jelly beans! People can guess the amount of jelly beans that they think is in the jar, paying $10 per guess. The winner takes home the entire jar! There are tons of restaurant chains (and even local establishments!) that are willing to partner with individuals and organizations to help them raise money. Most of the time, a restaurant chain or local eatery will have designated “fundraising nights,” where a portion of the sales from that night are donated to a charity. Get in touch with the manager of a restaurant in your area and ask if you can host a Bubbles for Babies fundraising night. Once you establish a date and time, invite your friends and family members to come out and support the cause. The restaurant then cuts you a portion of the night’s sales. Sometimes, you just want to stay at home, snack on unhealthy food, and watch a movie. So, host a non-event! Basically, you send out “invitations” to an event that isn’t going to take place. Tell people that “nothing will happen on Tuesday at 7:00” and let them know that they can stay in their homes and not worry about socialising. Then, ask for donations towards Bubbles for Babies. People can donate online at www.newborn.org.au and they will be grateful for a night of no social obligations, and you’ll raise some extra money. Step 3: Send out some invitations. Sending an email to friends, family and colleagues. If you have a Facebook page, create an event for your Bubbles for Babies event and invite your whole friends list, let them know the cause you are supporting and what you are raising money for. Follow us on Facebook for more tips and resources on promoting your fundraiser at Facebook page. Step 4: Raise some bubbles. When you register your event with us, you will be provided with the correct depositing details and you will just need to deposit your funds when you have finished raising some bubbles. Congratulations! 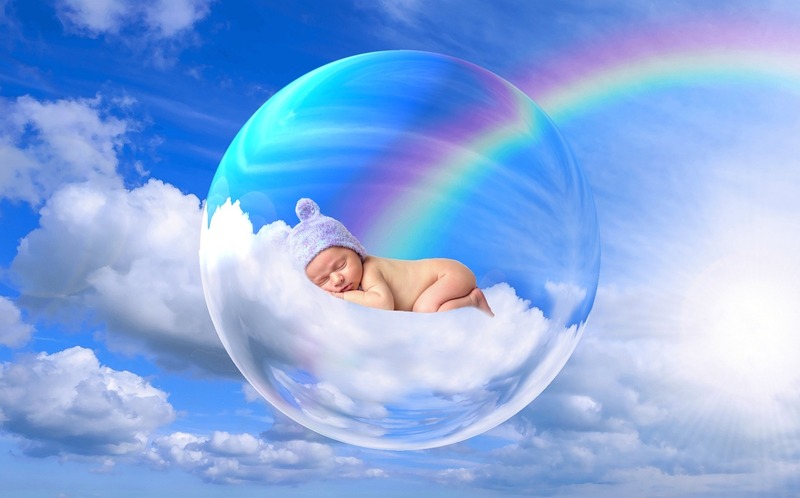 Your Bubbles for Babies event will help the Newborn Intensive Care Foundation funds medical equipment, research and nurse education to help sick newborn babies of the Canberra region. Also, don’t forget to send us some photos of your event, we love to see them and may even include them on our Facebook page.